Vegetal Colour does not contain Ammonia, Hydrogen Peroxide, PPDs or Diaminobenzene. It is easy to use because it is applied directly without any mixing. The colour washes out gradually. Vegetal Colour is specially formulated to add highlights to your hair and allows you to refresh colour tones between permanent hair colourings. It does not lighten your hair. Vegetal Colour does not cover grey. To cover grey hair, use Herbatint Permanent Haircolour Gel. A range of true temporary hair colours. VEGETAL™ colours enhance the shine and clarity of your natural hair colour whilst greatly improving the condition of the hair. However because the VEGETAL™ colours do not contain PPD or Peroxide the effect on grey hair is somewhat unpredictable depending on the type of hair it is applied to. We do have many customers that use the VEGETAL™ range because they either have a PPD sensitivity or choose not to use permanent colours and they find the effect on their hair is good enough for their purpose. VEGETAL™ colours will last for 6-8 washes. They cannot lighten hair colour nor guarantee complete grey cover. They can enhance your natural shade or allow you to go darker. VEGETAL™ colours do NOT contain Ammonia, PPds, Hydrogen Peroxide, Resorcinol, Parabens, Fragrance or Alcohol. ALWAYS PERFORM A SKIN TEST PRIOR TO USE to test for sensitivity to the product. Choose from upto 13 shades. As a guide if you are naturally black to brunette in tone choose from the Black and Chestnut shades. If you are naturally mousey brown or lighter in tone choose from the Blonde shades or the Henna Red. The latest study, carried out on hair colorings by the main French independent consumers testing organization, ranked Herbatint in first position among 18 well known and most popular brands, some being marketed as “natural hair dye. Strong of this result, Antica Erboristeria, decided to go deeper and for the first time tested this product dermatologically on sensitive skin, through an independent laboratory referenced by Cosmetica Italia, the main Italian professional association forcosmetic industry. A patch test is a method used to determine whether a specific substance causes allergic inflammation of a patient's skin. Patch tests were been carried out on Herbatint’s shades formulated with the highest concentrations in coloring agents. 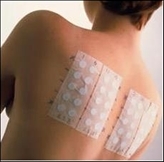 These patch tests consisted in the application of the Herbatint product, by a dermatologist, on volunteers' skin so to observe and analyses the possible skin reactions to the product. How Herbatint colorants have been tested? The first step consisted in the application of the product to a skin area on the back, under semi-occlusive patch and during 45 minutes, this time corresponding to the processing time of Herbatint hair dye. The skin compatibility has been monitored before patching and after patch removal (30 minutes after and 24 hours after patch removal). According to the patch test protocol, signed with the testing laboratory, the subjects of this study needed to have an orthoergic skin reactivity (sensitive skin). An orthoergic reaction is a reaction of the nervous system that results in red patches or mild edema and lasts from a few hours to 48 hours after exposure to aggressive substances. 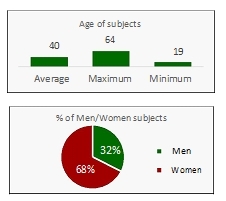 The subjects of this study, 20 people aged from 19 to 64 years, 68% women, were selected according to these criteria (sensitive skin). For almost 40% of them the skin reactions previously observed were related to the use of some cosmetic products. Under the experimental conditions adopted, the application of Herbatint induced no significant reaction or irritation. In conclusion, over the 160 tests carried out, the full Herbatint color range showed a good to very good (top of the scale) skin compatibility on subjects with reactive skin *. This result confirms Herbatint as a premium hair colorant thanks to its balanced, gentle and unique formula, been suitable even for people with sensitive skin or, generally, concerned about the health of their hair and scalp. * Only 5 tests out of 160 gave an orthoergic reaction which were all ranked as a 0.5 level, meaning “very slight erythema – barely perceptible”. Wash your hair first (for best results use Aloe Vera Intensive Normalising Shampoo). Towel dry to remove excess water. Using an applicator brush, apply VEGETAL COLOUR directly and evenly on damp hair. Cover with a shower cap to help develop the colour and wait 45 minutes. For permed or treated wait only 20 minutes. Add lukewarm water and lather. Rinse hair thoroughly until water runs clear. DO NOT SHAMPOO. Follow with Herbavita Royal Cream Conditioner, leave on for 5 minutes and rinse. Towel dry and style as usual. This product contains ingredients that may cause skin irritation on certain individuals and a preliminary patch test according to accompanying instructions should first be made. This product must not be used for dying the eyelashes or eyebrows - to do so may cause blindness. Aqua, Hydroxyethylcellulose, PEG-18 glyceryl oleate/cocoate, PEG-2 oleamine, Basic Brown 16, HC Blue 2 solid, HC yellow 4, Basic red 76. Aqua, magnesium laureth sulphate, cocampidopropyl betaine, aloe barbadensis extract, PEG 75, meadowfoam seed oil, citric acid, imidazolidinyl urea, moringa pterygosperma seed extract (and) glycerine, aroma, sodium dehydroacetate, sodium benzoate, propylene glycol, palmitamidopropyltrimonium chloride. Aqua, citric acid, cetyl alcohol, aloe barbadensis extract, triticum vulgare germ oil, jojoba oil, moringa pterygosperma seed extract (and) glycerine, ascorbic acid, tocopheryl acetate, imidazolidinyl urea, methyl gluceth-20, ethoxydiglycol oleate, sodium dehydroacetate, PPG-3 benzyl ether myristate, behentrimonium chloride, sodium benzoate, rice bran oil, aroma.